The Seanchaí is a visitor attraction in the Heritage Town of Listowel which presents the works of the great Kerry writers in a unique audio-visual experience. Located in a 19th century Georgian residence in Listowel’s magnificent Square, the Centre features five of the County Kerry’s most esteemed writers – John B. Keane, Bryan MacMahon, George Fitzmaurice, Brendan Kennelly and Maurice Walsh. The writings of these national and internationally renowned literary figures are filled with an abundance of rich characters, humour, romance and tragedy drawn from the towns and villages of North Kerry. The words of the writers will make you laugh and cry, but above all you will come away from your visit to Seanchaí with a sense of the people and places that shaped Kerry’s literary genius. ACTORS breathe life into literature, give voice to the characters, substance to the events. The AUDIENCE experiences the story, instead of just reading it. See the characters of the Kerry Writers’ come to life on your tour of the Kerry Writers’ Museum in the Seanchaí – Kerry Literary & Cultural Centre. 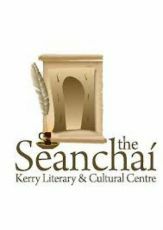 Seanchaí – Kerry Literary & Cultural Centre hosts audio-visual presentations of the works of famous Kerry writers. Situated in a 19th century Georgian house in Listowel, it focuses on John B. Keane, Bryan McMahon, George Fitzmaurice, Brendan Kennelly and Maurice Walsh. A visit to The Kerry Writers’ Museum in Ireland’s literary capital and the beautiful Historic Town of Listowel, Co Kerry is like no other school tour. A fun-filled and educational trip for your School to The Kerry Writers’ Museum is guaranteed to be an unforgettable day for all ages! Brought to life by costumed characters and audio visual aids, our School Tour Programme is designed to take your pupils on a stimulating journey of discovery through the songs and stories of our renowned Kerry Writers. Listen to “The Master”, Bryan MacMahon telling us why he believed that storytelling and ballads are important to children’s imagination. Discover how at the word “Abracadabra!” a baby elephant entered a school classroom! Learn how to write a story like John B. Keane and participate in a special ‘Treasure Hunt’ where you learn about the Kerry Writers through discovering a series of clues hidden throughout the 19th Century Georgian Residence which houses the Museum. With Information Packs and Worksheets available for each pupil, together with a choice of additional activities to make the most of your visit to Listowel, The Kerry Writers’ Museum provides an outstanding environment to stimulate your pupils’ imaginations.